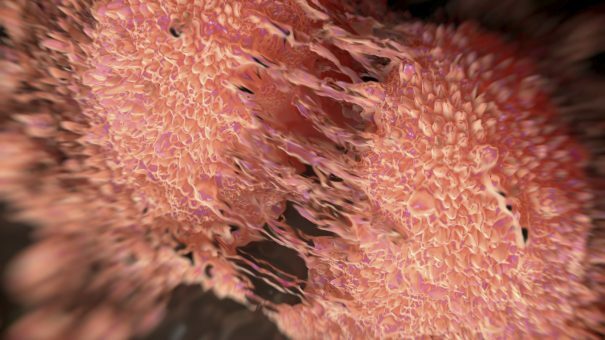 In the last two years, the first PD-1 checkpoint inhibitor drugs to reach patients have launched a revolution in cancer care. Over the next few years, the promise is that a broader field of immuno-oncology drugs will transform treatment across many different tumour types. Companies working in the field have been latterly working at breakneck speeds to enter the immuno-oncology race, but the field now looks to be entering a new phase. In a recent webinar, Eric Groves – VP, Advisory Services, Quintiles and Matthew Bentley, Clinical Project Manager, Oncology, Quintiles discussed the fast-developing field, and zeroed in on the top 5 Challenges in Today’s Immuno-Oncology Trials. The arrival of the first two PD-1 checkpoint inhibitors, nivolumab and pembrolizumab have rapidly changed the standard of care in the first two indications, advanced melanoma and non-small cell lung cancer (NSCLC). Their arrival is great news for patients as clinicians rapidly switch over to using the new drugs. But this is complicating the issue of selecting appropriate controls in clinical trials – if you choose an outdated comparator, your trial could run the risk of being irrelevant by the time it concludes. “Standard of care is evolving rapidly, and that can change things, even in the middle of conducting a study,” says Matthew Bentley. Bentley says the solution is to have in place monitoring teams that understand the compounds they are working on and the larger, evolving landscape. This means the monitoring teams need to be specialised, and really understand immunotherapy and the mechanism of the drug – which means investment in training for them—and the investigators — is essential. 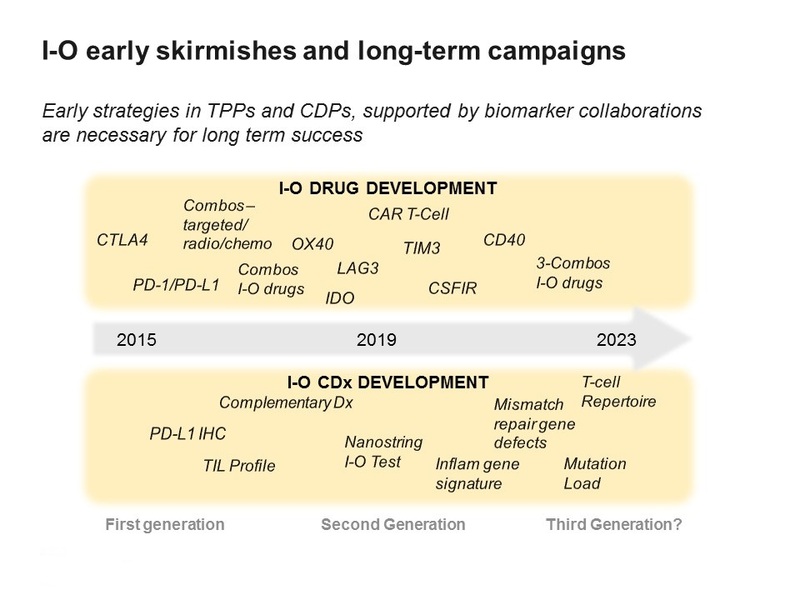 As there is so much competition between companies to establish a presence in immuno-oncology, there has been an emphasis on starting trials as fast as possible, with a drive to also include as many tumour types as possible. Eric Groves says this pressure has resulted in what can be termed ‘octopus studies’ – early stage trials with multiple arms. “Usually these are planned as single arm studies and then grow – and a lot of problems can accrue from this, for instance how to collect the data in an appropriate fashion,” says Groves. One way to avoid these problems is to have a solid plan in place to manage the complexity of these studies, and how to collect data which is precise and appropriate for these kinds of therapies. Another reason for this growing complexity is that immuno-oncology is now moving into testing combinations of new agents. As there are so many different potential combinations, this generates pressure on how to pick the right combination in the right trial design. Some trials in the field have seen faster than expected enrolment – a previously rare occurrence – but one that brings its own problems. More commonly, recruitment is too slow – something that can happen in the middle of a study if the standard of care changes, for instance. The best way to mitigate this is to keep your ear to the ground, something which the primary investigator and KOLs can help you with. “People who have experience will be able to help you and see the problems coming,” says Bentley. Groves says the push to generate better outcomes for patients by exploring combinations of the new agents is irresistible. However, he feels that after the first few years of frenetic activity, progress will now inevitably slow down. Going hand-in-hand with this task of trying out combinations will be the raised risk of safety issues. “There is the potential for safety surprises –the combination of a CTL4 antagonist/inhibitor and PD-1 inhibitor works very interestingly in melanoma, but is also associated with a lot of toxicities,” adds Groves. One way to mitigate these risks is to train investigators to look for immune-related adverse events as well as standard toxicities. In order to stratify trial patients, companies will have to invest in creating a biomarker plan, with all the related requirements to collect tissue samples and have them analysed in specialise laboratories. 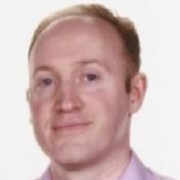 Groves says an ‘off the cuff’ estimate of the cost of assays and data interpretation could be 15% or more of the total trial cost – a significant fraction of the total budget. “In order to spend this money wisely, you need a good biomarker plan – it can’t be an add-on, it needs to be part of the initial planning,” he adds. He says the best team will be able to deal with surprises, with CROs a good source of useful experience. Groves concludes by saying that putting time into a detailed plan will reap long term benefits.